Matthias Hangst/Getty ImagesMohamed Salah was set to become one of the stars of the World Cup, but he began Egypt’s first match on the bench and did not make an appearance as his country lost in heartbreaking fashion. Egypt lost to Uruguay, 1-0, in heartbreaking fashion on Friday, giving up the winning goal in the final minute of the teams’ World Cup opener. Egypt played the game without its star player, Mohamed Salah, who was injured in the Champions League final but was considered available for the match, possibly as a second-half substitute. The loss left Egypt with little room for error with two games remaining in group play. The script seemed set for Mohamed Salah to make the World Cup debut of a lifetime. On his 26th birthday, Salah was set to lead Egypt into its first World Cup in nearly 30 years and announce his arrival on biggest stage in football. 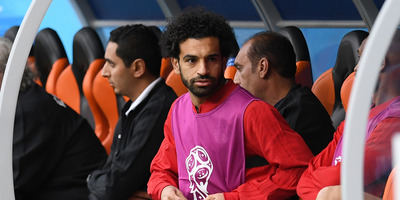 But it was never meant to be, and Salah had to watch from the bench as his teammates valiantly fought through 89 minutes only to lose to Uruguay, 1-0, in heartbreaking fashion on Friday. Egypt’s decision to bench Salah for its biggest game in decades was baffling to supporters excited to see his spark on the pitch, but it was not unfounded. Unfortunately for Egypt, Salah was apparently not ready to go yet, leaving the team to face Uruguay, expected to be its toughest challenge in the group stage of the tournament, without its star player. Despite its missing offensive centrepiece, the Egyptian side held firm, limiting Uruguay’s chances and stifling them just as a goal looked as if it might be on the horizon. But Uruguay finally broke through in the 89th minute, with José Giménez playing hero by getting his head on a free kick for the dramatic winning goal. After the game, manager Hector Cuper was left to second-guess his decision to leave his star player on the bench through the final stretch of the game, saying “Perhaps if Mo had been on the pitch today, the outcome would have been different but we can’t know that.” He went on to say that Salah’s absence was a cautionary measure, and that the team expects him to be ready to go for the remaining games of the tournament. Egypt has two winnable games left in the tournament’s group stage, against the host nation Russia and then against Saudi Arabia. It will advance to the knockout stage if it wins both, but that will certainly be an uphill battle, especially for a team with the most gruelling travel schedule in the tournament. The world is waiting to see Salah have his moment. Sadly for football fans though, it wasn’t meant to be on Friday.